This charming development opportunity sits on the banks of the former Lubstree Wharf Basin on the Humber Arm branch of the Shrewsbury and Newport Canal. Since its closure this branch of the canal has been in filled and the wharf remains as an isolated body of water fed by the adjacent Humber Brook. The pool and surrounding woodland are a haven for wildlife and birdlife and provide an area of immense beauty, peace and tranquillity. The site comprises two brick buildings. The Wharf House was originally a transhipment shed used to transfer goods from a train to the boats on the canal with the building becoming redundant in the 1940’s when the canal was closed. More recently it has been used as the pump house for the irrigation systems utilised on the adjoining farm. To the far end of the plot is a self contained building referred to as The Steam House which has planning consent to form a holiday–let property. The plans have been carefully and skilfully prepared with great foresight and vision to allow development and utilisation of two redundant buildings whilst retaining the inherent character of the buildings and still paying homage to the industrial history of the site. 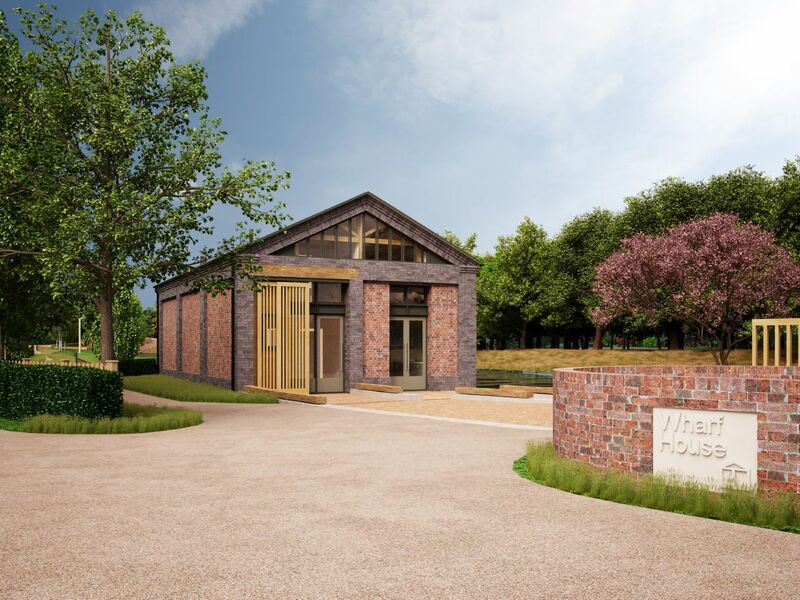 Lubstree Wharf is surrounded by the picturesque Shropshire countryside and yet it also has excellent motorway and train links for commuters providing easy access to the major cities of Birmingham, Manchester and Liverpool. The nearby market towns of Newport and Wellington offer a range of local facilities and the larger towns of Telford and Shrewsbury offer a greater variety of amenities. The Wharf House will offer spacious and modern accommodation over two floors with a large open-plan living and kitchen area complete with impressive vaulted ceiling and full-height glass over the dining area allowing stunning waterside views. Further to this there will be one ground floor bedroom and three first floor bedrooms, two of which will be en-suite, and a family bathroom. The Steam House is set some 100 metres from the main property and will offer peaceful and private holiday accommodation with outstanding views over the surrounding countryside. 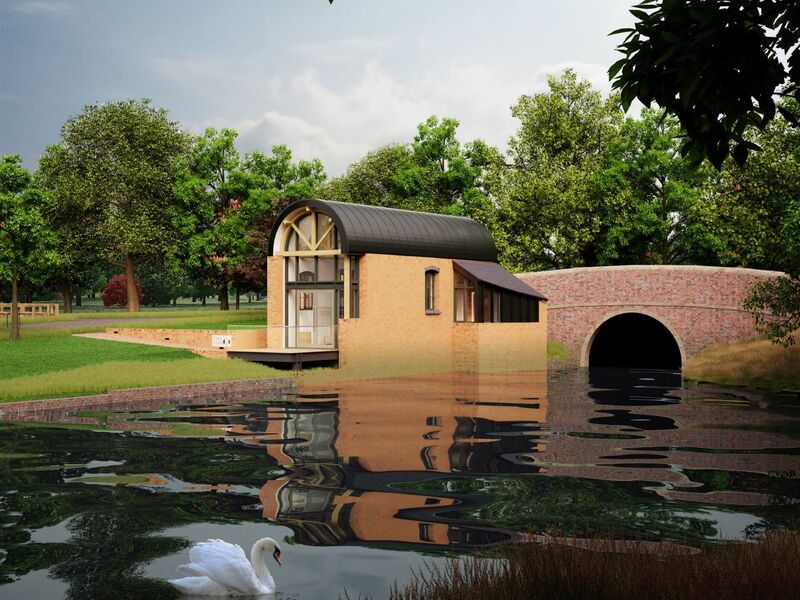 This unique property will have a barrel-vaulted ceiling as in its original construction, mirroring the adjoining bridge, and a fully-glazed gable-end to take full advantage of the fabulous views over the water. The accommodation, although compact, will provide a living space with kitchen area, bedroom and a bathroom with a second bedroom on a mezzanine level. It should attract considerable interest as a holiday-let, being well placed for access to a number of popular tourist attractions including Shrewsbury and Chester as well as being within easy travelling distance of the Welsh borders. The plot as a whole extends to 2.7 Acres and comprises a belt of woodland to the east and south of the water as well as the grassland to the west which will ultimately provide access to the holiday cottage and garden to the main property. In addition there is the option to purchase, by separate negotiation, further land of approximately one acre to provide space suitable for the grazing of a horse or pony or other rural pursuit. The water is well stocked with coarse fish. 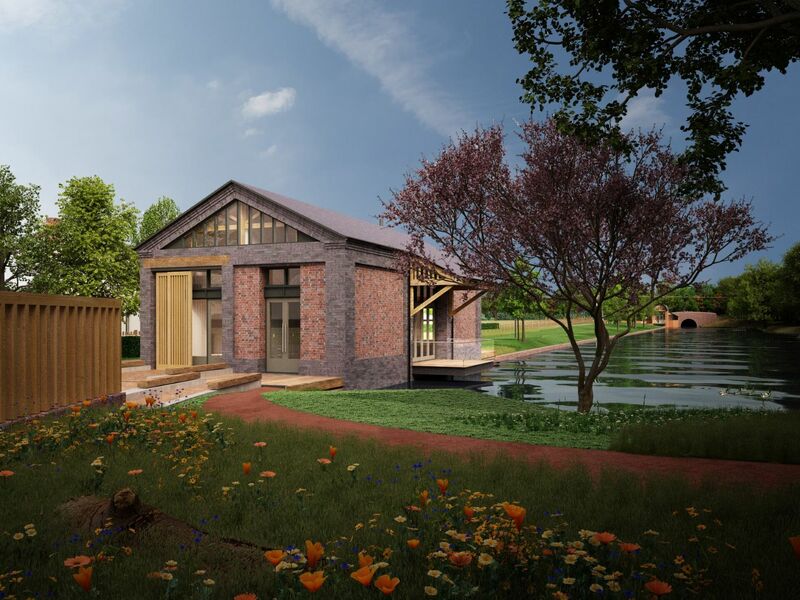 Full Planning Permission was granted by Telford and Wrekin Council on 31 January 2019 Ref TWC/2018/0578 to allow conversions, extensions and external alterations to 2no former canal side buildings to create 1 dwelling house with detached garage and 1 temporary holiday property subject to some conditions as detailed in the permission document. 1. The land will be sold subject to a right of way to allow the occupants of Wharf Cottage the benefit of access at all times to their property. 2. The seller will reserve a right to utilise water from the canal for irrigation purposes. This will be in conjunction with the extraction licence allowing extraction from the Humber Brook to control the water levels within the canal basin and therefore the seller will require access to the sluice gate to control the water levels. For further information please see the link above to full sales details.